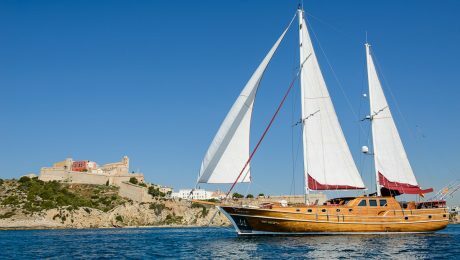 We have available for rent without skipper in Ibiza this fantastic 33 foot boat. In general, the rents are usually made with company patterns, but when we request boats if we have several patrons, this is the longest one. 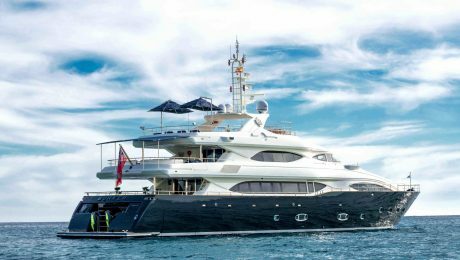 This 3-deck mega yacht has a capacity for 12 guests in 5 suite cabins and large deck spaces for sunbathing, relax with your guests in the lounge areas. Enjoy the sea and the sun is an activity that opens the appetite, and Ibiza know it well. Therefore, it is one of the best places to discover Mediterranean cuisine. 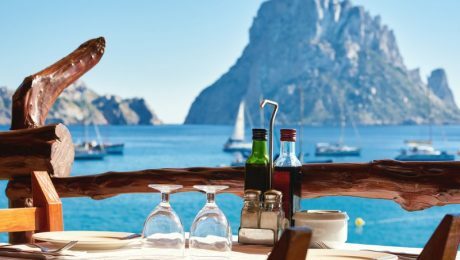 Also with a lot of flavor to the sea, these are some of the most outstanding restaurants in Ibiza. Visiting the Balearic Islands and not finding them with an influx of people can be difficult to achieve. However, it is still possible to find secret places in Ibiza, which in addition to tranquility, will give us spectacular landscapes. 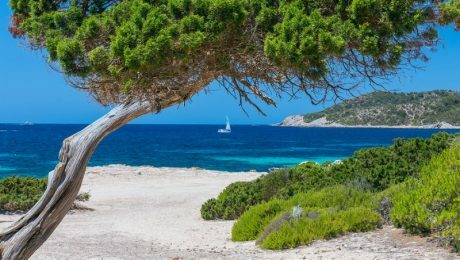 The best beaches in Formentera will far exceed your expectations. This island of 69 kilometers of coastline has the best beaches you can imagine. The fine sand and turquoise water will transport you to a magical place where you forget everything. 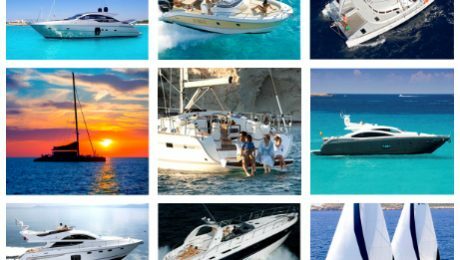 If you want your vacation in Ibiza to be different , instead of renting a Villa, you can rent a boat. Intimacy, reaching corners where no one else comes, freedom of movement, comfort. On board a ship you can experience a luxury holiday like never before. The sunsets in Ibiza are something unique, nowhere else can you enjoy such sunsets. The island has corners to which millions of tourists travel every year, one of the reasons being its sunsets. 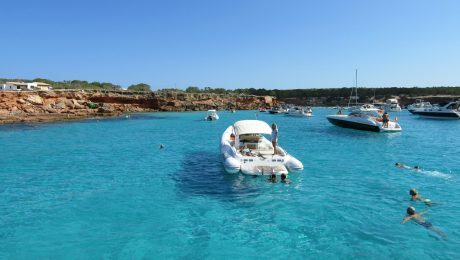 If you plan to spend your vacation here, we explain how to get there by boat from Ibiza to Formentera. The Balearic Islands are one of the most visited tourist destinations throughout the year. Ibiza offers us a wide range of possibilities. In addition to its spectacular beaches and coves and the best clubs in endless nights, there is a combination of both. 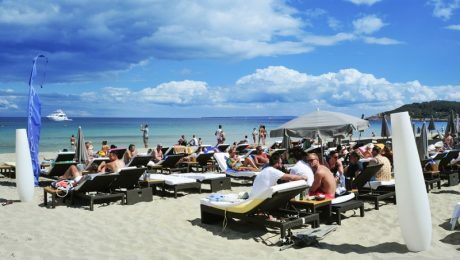 The beach clubs in Ibiza are what you were looking for to enjoy this island as you had never imagined. 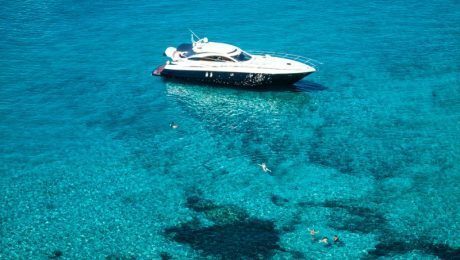 If you are thinking of renting a boat in Ibiza, it is best to do it well in advance. 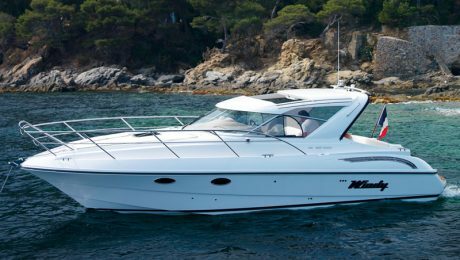 Not only will it be difficult to find the ideal boat to rent because they are already reserved, and the prices will be higher and you will not take advantage of the discounts for early booking. 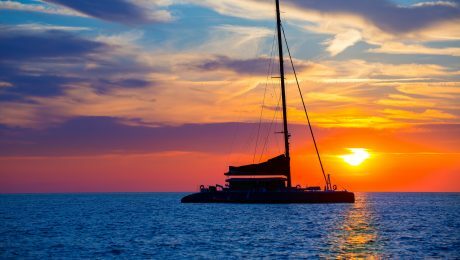 Celebrate the day of your birthday sailing in Ibiza and Formentera aboard one of our boats, with the best care you deserve on this special day. 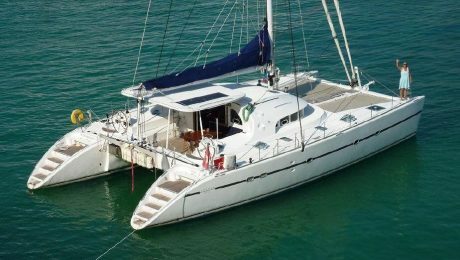 The Catamaran Lagoon 570 offers everything you need for your comfort and autonomy. Comfortable and spacious, designed in proprietary configuration which added a large bathroom in the main cabin. It has a hydraulic ramp for easy access. 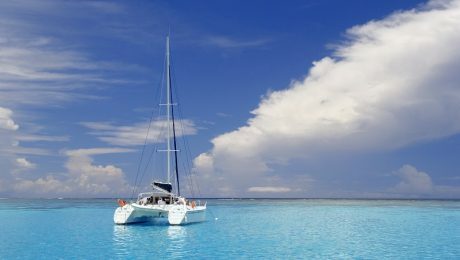 It also has a large net at the bow to relax and toys like a surf paddle and 4G internet. 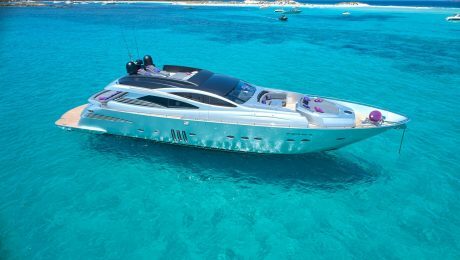 The Riva Venere 75 yacht is located in Ibiza for rent. It is pure elegance, which balances sophistication and innovation without sacrificing one for the other. Designed by an experienced team of naval architects and built with the love and care that only the finest craftsmen bring to every detail, this luxurious 24m Gulet sailing yacht magnificently combines the latest technology with glamour, comfort and classic style. 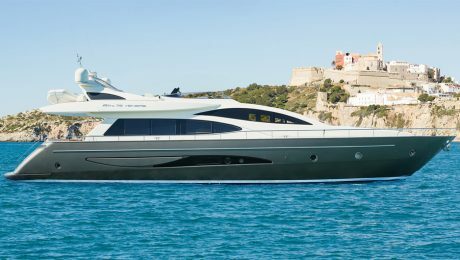 It offers a huge volume for a 24m yacht.